Asthma affects over 2 million Australians, and 1 in 9 children. 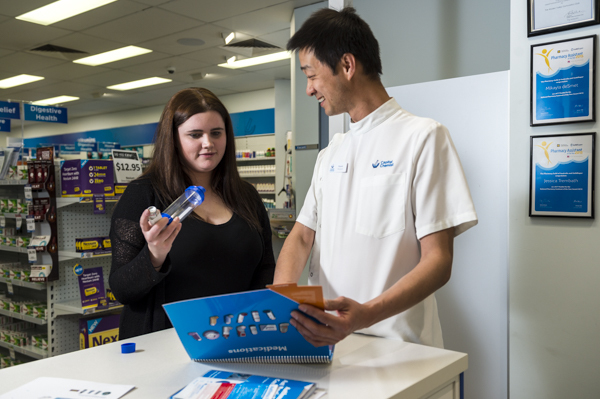 Our pharmacists can help you get the most from your asthma medicines and help ensure your asthma is kept under control. 9 out of 10 people do not use their asthma inhaler properly. Our pharmacists can ensure that your inhaler/puffer technique is correct, and suggest recommendations to improve medication delivery to the lungs – which is where it counts. We can also help ensure that you are on the right medicines to control your asthma; this may involve working out your ASTHMA SCORE which helps to identify patients who may not have their asthma under control. Or it may involve working with your doctor to develop an Asthma Action Plan to ensure that your asthma medicines match the severity of your asthma, and help stop asthma from controlling your life.